The historic building in downtown Lake City was built between 1913 and 1920 as a men’s clothing store called L.T. Coward and Company. By 2002 the building was occupied by King’s Beauty Supply, and today it is a commercial duplex housing the Lake City Partnership Council and a restaurant known simply as the Downtown Bakery and Deli existed there for quite some time. Now, the restaurant has been rebranded as Bakers Sweets, which has a similar feel to its predecessor with expanded options. 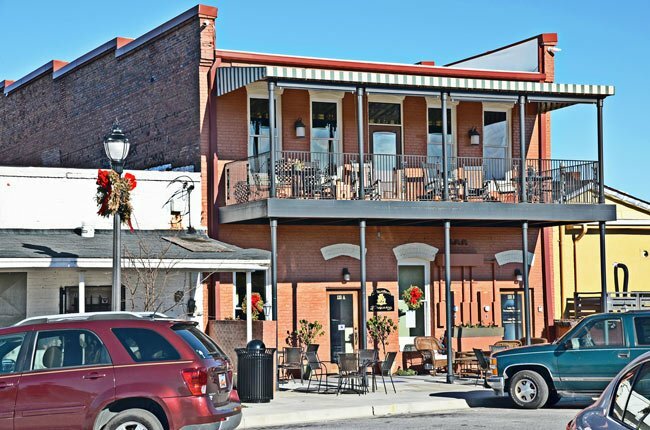 Like many areas in Florence County, Lake City has seen revitalization efforts over the past several years. Today modern businesses occupy historic buildings, and the farming community that is transforming into a cultural hub. Along with the Downtown Bakery and Deli and the Lake City Partnership Council, the historic Bean Market has become a community and event site, and Jones-Carter Gallery occupies a former feed-and-seed warehouse. The Downtown Bakery and Deli serves up specialty treats and lunches to locals and visitors arriving for the annual ArtFields festival, a nine-day event held each spring. The Lake City Partnership Council is a non-profit community organization seeking to provide funding and resources for the betterment of Lake City.